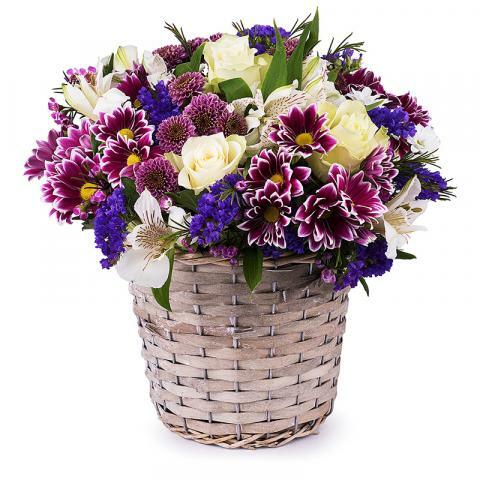 This captivating and fragrant basket of multi-coloured flowers has been artistically designed to create a delightful arrangement that will add smiles to a seasonal celebration. With exquisite roses, lilacs and pink seasonal flowers all together in a sweet basket, you've got the perfect surprise for someone extra special. Happy that flowers and gift dwlivered on time to right person.